Want to watch this in your browser? 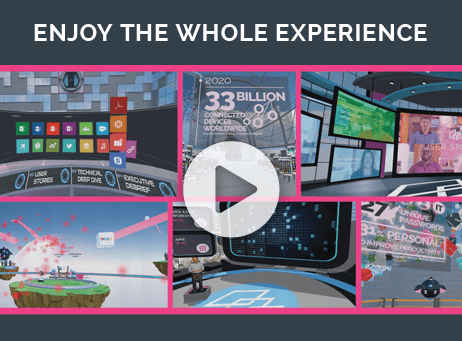 You can view the whole experience as a 360 video on YouTube by clicking the videos below. Want to see it in VR with a headset? The days of desktops and cubicles are coming to a close. 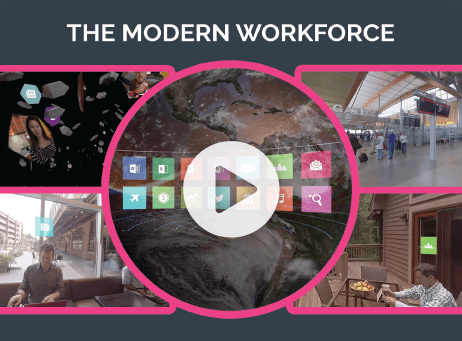 Explore the evolution of the modern workplace in 360 degrees. 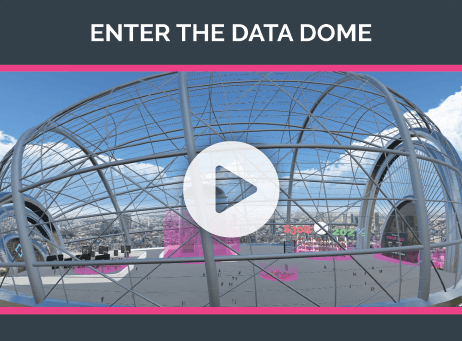 Navigate through massive data visualizations revealing the key challenges presented by a consumerized, demanding and mobile workforce. 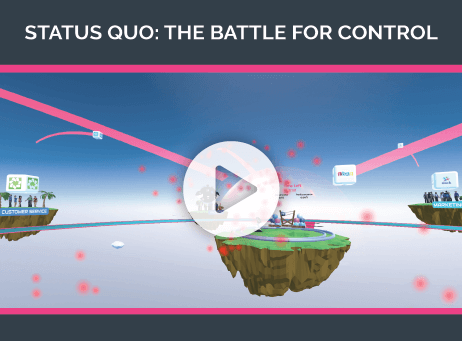 Witness the tense battle with frustrated employees in an arcade style first person shooter game. 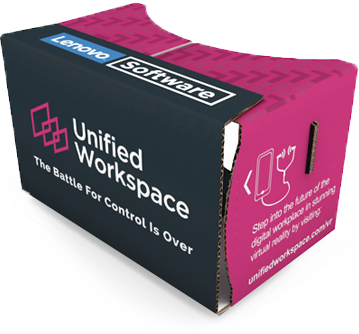 Get an immersive look at how Unified Wls orkspace empowers employees to work when, where and how they want. 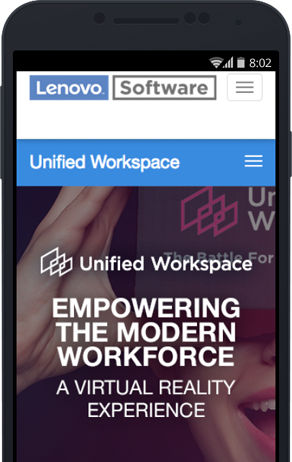 Join an intimate conversation with a modern millennial workforce using Unified Workspace. 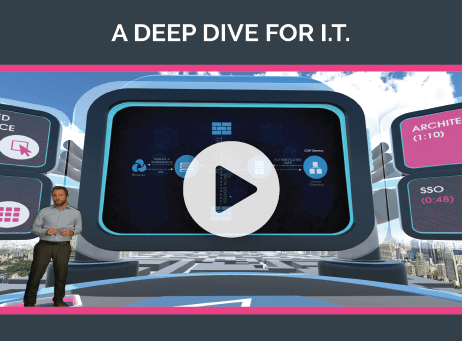 IT professionals get a hands on tour of the unique architecture and features of Unified Workspace. 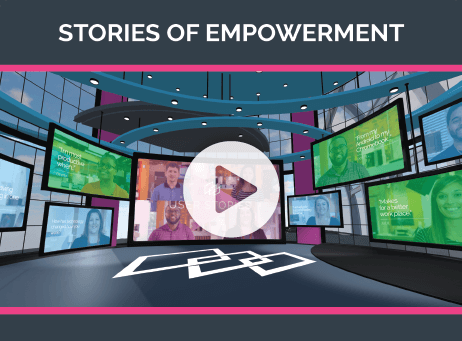 Sit back for a guided tour through the entire Empowering the Modern Workforce experience. 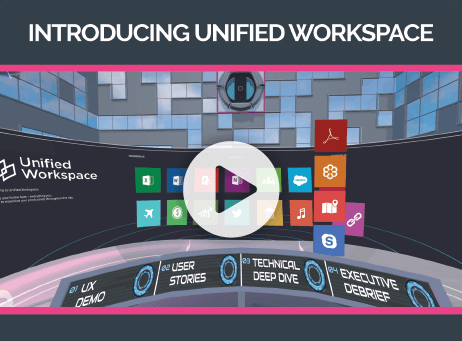 Get an immersive look at how Unified Workspace empowers employees to work when, where and how they want. 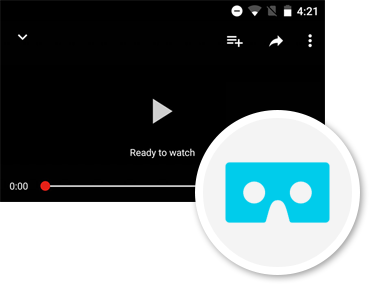 Set the quality of the video to the highest level before playback. 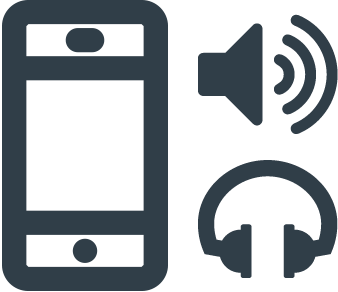 Are you using the most up to date YouTube app? Don't have a VR headset? Send an email with your name, company, address and phone number to JoAnna Alphin at jalphin@lenovo.com – we'll send you one!